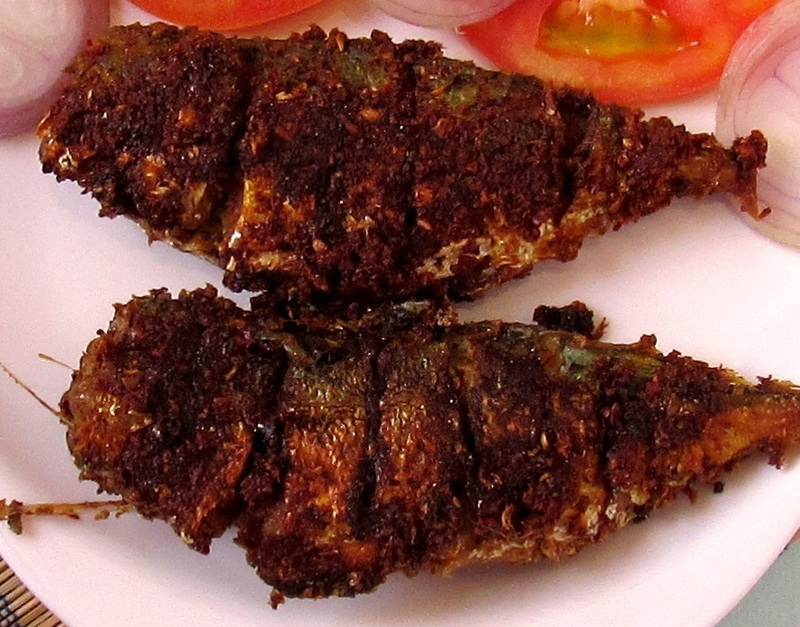 Today I am showing you how to make Ayala/ Indian Mackerel Fish Fry. Ayala is an important fish used in South and South-East Asian cuisines. We usually buy fish online. The site is www.fishkart.com. Most of the fishes are available on this site. Friday I got a message from fishkart.com that fish is available and you can place order now. 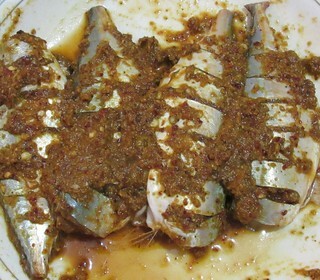 Suddenly I opened the website and found Clam meat, Karimeen, Ayala etc. My husband likes Clam meat and Ayala a lot. So I bought these two. Next day around 10.30 they delivered the fish. I decided to fry the Ayala fish. 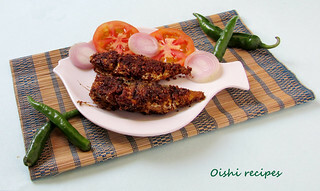 I made the fish masala in my own way and fried it. 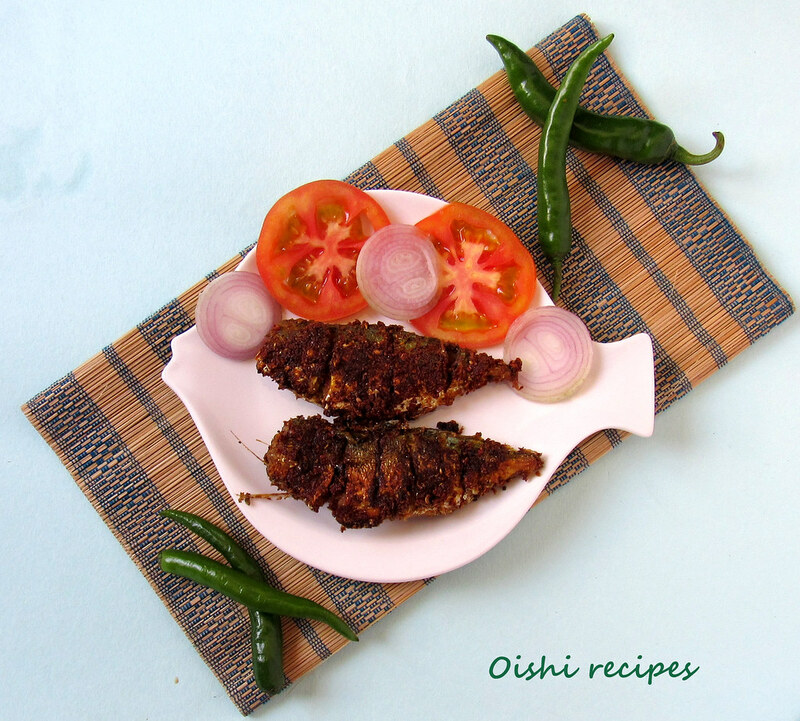 I served fish fry with rice, sambhar and beetroot thoran. The taste was excellent and my family loved it. 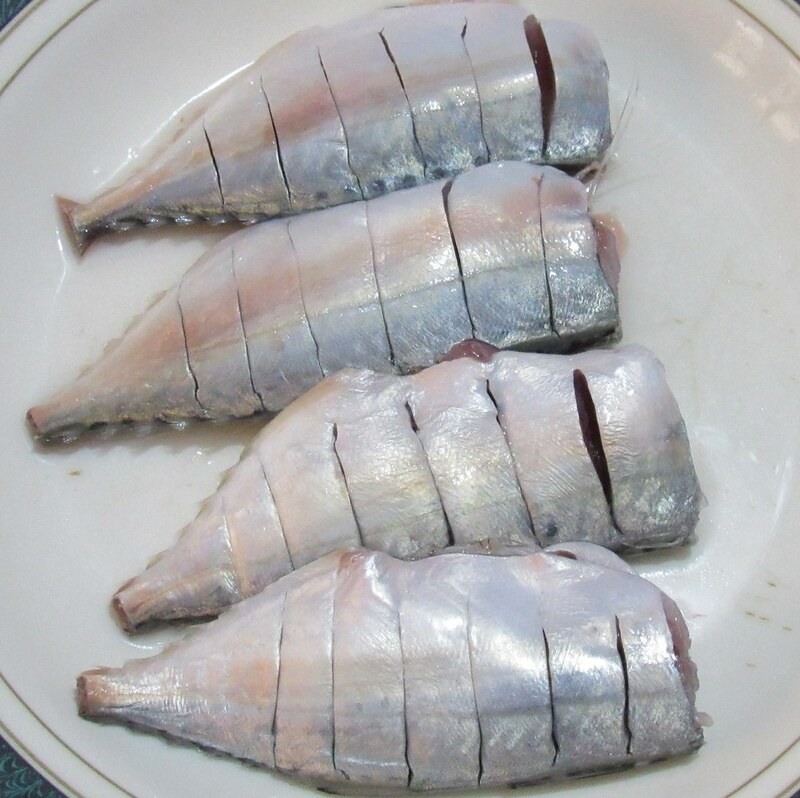 Ayala/ Indian Mackerel Fish Fry is very crunchy outside and soft inside. Cleaned the fish and score the fish. 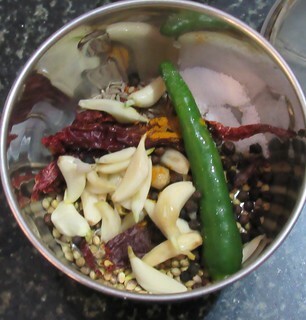 Take all the ingredients under the heading 'To Grind' in a blender and make it into a paste. Apply the paste over the fish and marinate for 10 -15 minutes. Heat oil in a pan. 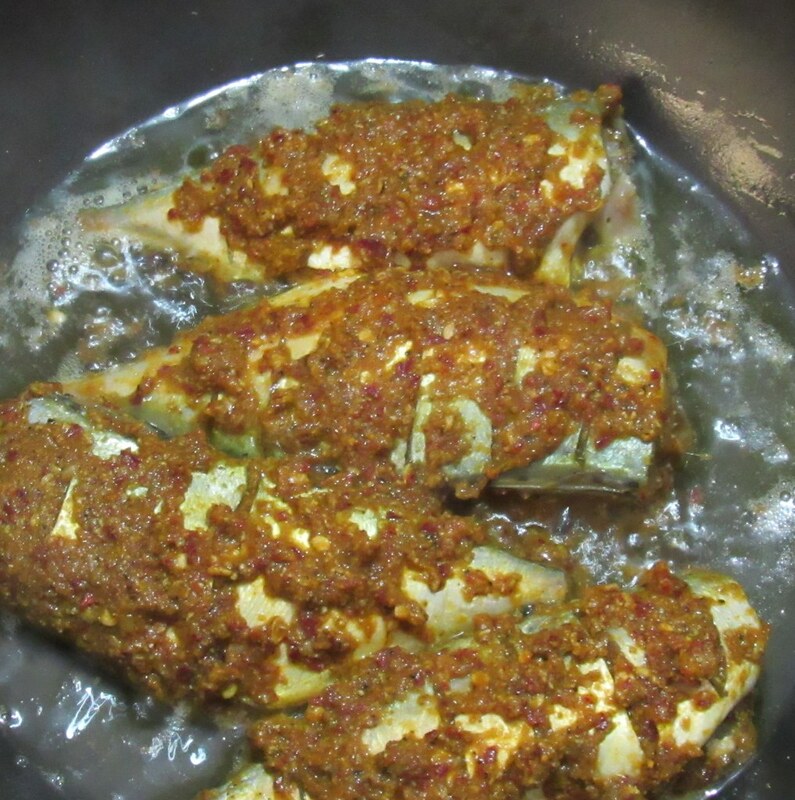 Place the fish into the pan and fry both sides evenly. Marination is very important. Marinate for at least 10 minutes. Fry both the sides of the fish evenly. Do not over fry the fish.